Anything predictable is essentially boring. At first glance, the above statement should be unconditionally true. However, if that was the case then a rollercoaster would be the most boring thing on earth. Think about it, you can see where the twists and turns are even before you get on. Even while you are standing in line, you can see how high it goes and where and how it will speed up. They are by design, utterly predictable. When I first heard that Treyarch would be working on the latest Call of Duty (CoD) title, I was honestly disappointed. 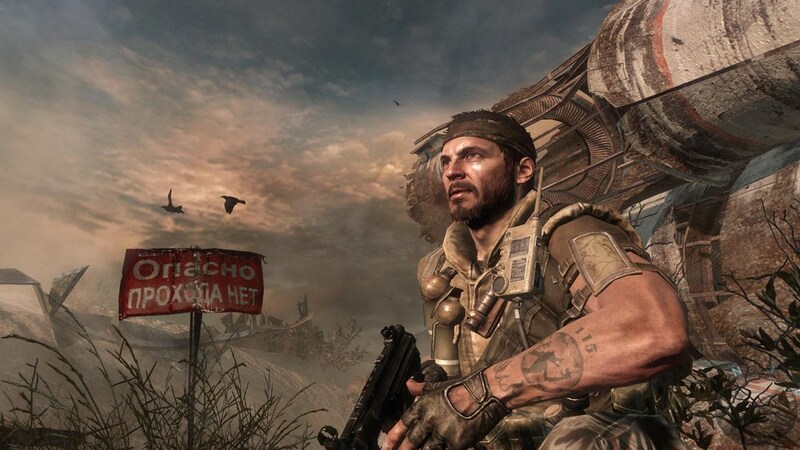 Their last two attempts were hardly exciting, and the way publisher Activision had decided to treat the PC community with Modern Warfare 2 (the last game in the CoD series) left me positively fuming. In short, my expectations from Black Ops were strictly limited. 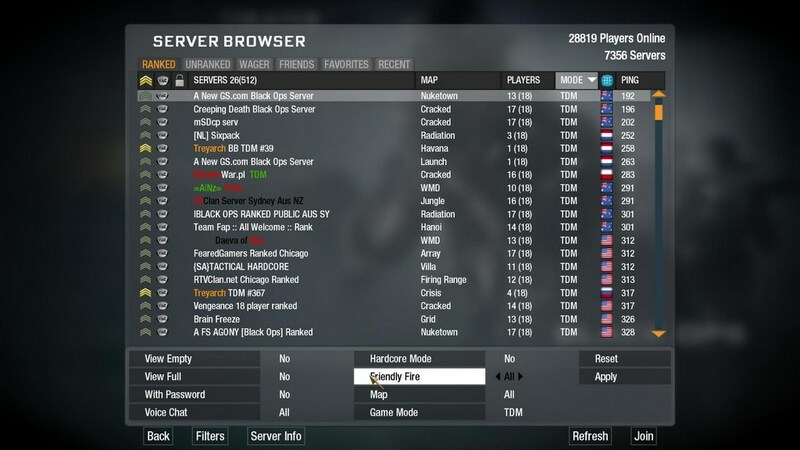 All I was looking forward to was dedicated servers with some enhancements to the multiplayer design that exists within Modern Warfare 1 (which is still one of my favorite games). I was prepared to be disappointed by the single player campaign because, I’ve been on rides like these before and they are pretty much one trick ponies. Besides, it’s Treyarch! 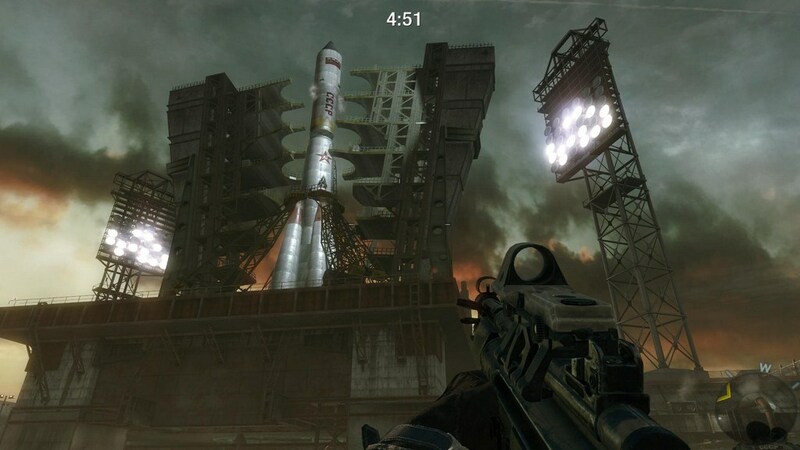 Call of Duty Black Ops is not just Treyarch’s finest moment; it is also the new benchmark for the CoD franchise if not FPSs of this type in general. And even though the campaign lasted only about 5.5 hours, it felt like a whole lot more purely because there was so much content in it. Right off the bat, the story has the player’s attention. The game starts with the Alex Mason, the main protagonist, strapped to a chair in an interrogation chamber. His memory is spotty and the games missions are essentially flashbacks with Mason jumping timelines between the 1960s to 70s. It’s not the most original plot device but the developers pulled it off beautifully. The story, which seems messy and disconnected at first, slowly comes together like a jigsaw puzzle. As Alex remembers more, the missing pieces fall into place. The tension never lets up as it becomes clear that Mr Mason holds in his mind, the key to preventing World War 3. Only trouble is, the clock is ticking and Alex is quite possibly insane. Having his memory fractured is also a convenient way for the game to jump from one location to another without having to “build up” anything in terms of narrative. 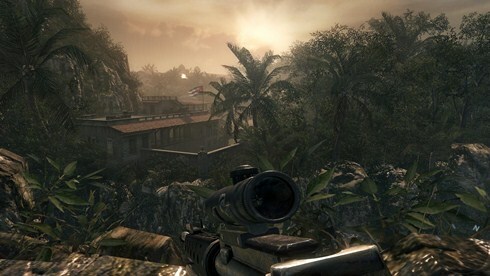 As a result, Black Ops will take you to a variety of geographical locations. Jungles, prisons, neon lit cities, underwater bases, frozen wastelands, underground tunnels, it’s all here. I actually had a hard time believing that this is an engine that’s five years old. The game looks gorgeous and colorful, which is a welcome change from the dull grey/brown/green montage the series had stubbornly stuck to. The story also plays constant homage to Hollywood’s portrayal of the Vietnam conflict. Movies like Apocalypse now, Deer hunter, Platoon, Full metal jacket are obvious references. Even the soundtrack features the sort of music one would find in said films. Add to the mix a moody and cinematic original score and you have a pretty heady cocktail that perfectly complements the well voiced cast. The AI does not break any IQ records but is competent enough to provide a challenge. 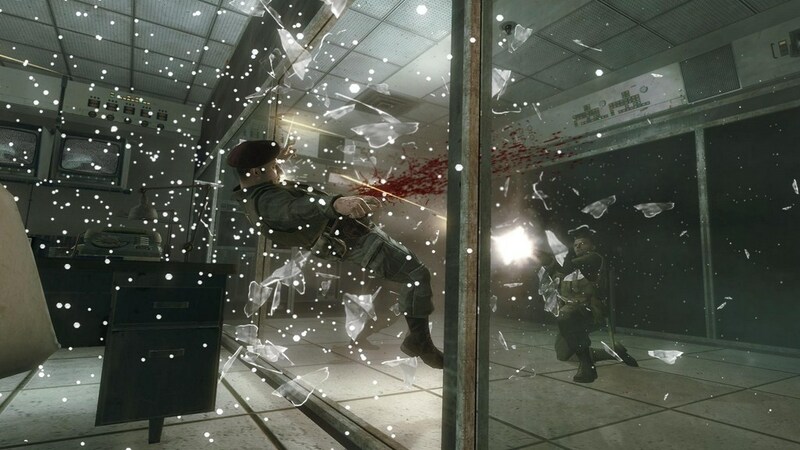 However, as with any shooter of this type, the game does have its share of “WTF, who the hell shot me” moments. It did run stable as a rock on my desktop, with no crashes or slow downs even when I was taking constant screenshots and recording videos. This is in sharp contrast to what I have read in official forums. Many people seem to be having a whole host of issues. I did test the game on my laptop, which has hardware that barely meets the minimum requirements and encountered no problems. It is important to stress here that that the single player campaign is not trying to do anything new. It is very much a tightly scripted experience with no “choices” of any kind. No multiple pathways or moral decisions. In many ways, the fact that the game starts with the player strapped into a straightjacket sets the tone for the whole game. Make no mistake, this is exactly the kind of game that frequently takes control away from the player to trigger a scripted event or show you a cut scene. And trust me; there is plenty of both in the single player. What sets it apart is how well it’s presented and how wonderfully it meshes with the story. The set pieces are thrilling and though most of the action is on foot, the occasional vehicle missions keep things interesting. And in one particular instance, annoying. This is not the FPS genre’s second coming by any means but it is a refinement of a proven formula, i.e., lots of guns + lots of bad guys + lots of adrenaline +lots and LOTS of explosions = FUN. Just be aware of the fact that this is more of a ride than an interactive experience. If you are the kind of player that likes wide open spaces and emergent, unscripted gameplay, you will most probably be disappointed. On the other hand, if you are the kind that prefers a rollercoaster over a safari, you are in for a treat. That being said, the real draw for fans was always going to be the multiplayer. 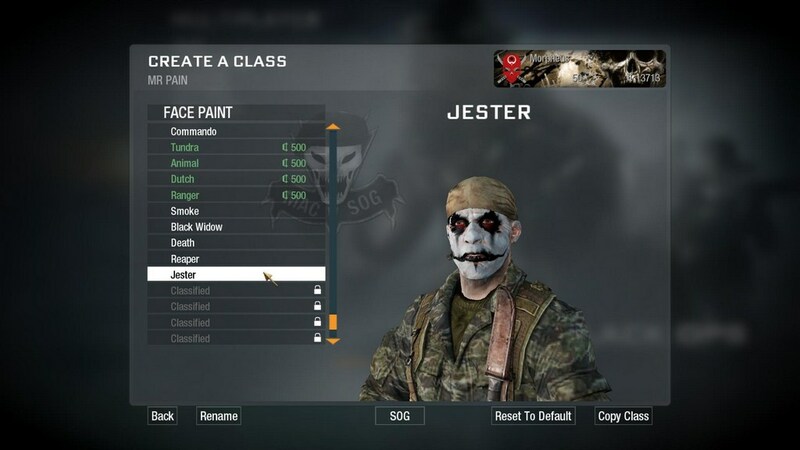 And here, Treyarch quite simply, has outdone Infinity Ward (developers of the Modern Warfare series) by a long shot. In every sense, this is the game that Modern Warfare 2 should have been. To anyone unfamiliar with the series, the multiplayer involves creating a profile that is persistent, ie, much like an mmo, the profile you create will gain experience. This experience will be needed for gaining “ranks” or levels that unlock better gear and skills (called “perks”). New to the mix is the idea of “CoD points”, essentially in-game currency, that can be used to purchase weapon attachments, equipment and cosmetic options. The inclusion of CoD points adds another dimension to the multiplayer experience. Not only does it provide an added incentive to keep playing, it also does away with a lot of the grind that was traditionally required to tweak your load outs. 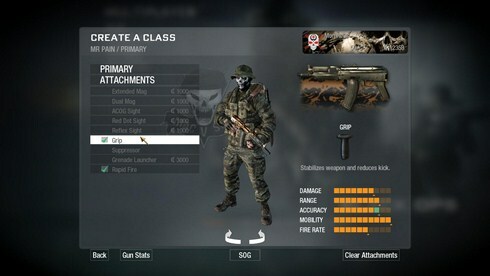 The amount of cosmetic customization is impressive, even your weapons can be personalized to a ridiculous degree. Weapons for the most part, seem balanced enough and “killstreaks” (one shot items that are earned whilst ingame) have lost most of their punch. The latter may seem like a buzz kill for some but I personally welcome the change. It makes the idea of one player utterly dominating the map a lot less likely as any killstreak award can be effectively countered. The official player cap is 18, which is perfect for the size of maps on offer. Speaking of which, level design for the maps is excellent for the most part. The number of players can be bumped up to 24 on “unranked” servers but these will not grant any experience points and hence not help towards rank progression. Adding to the mix, are some new game modes, i.e., wager matches. Limited to 6 players, no more no less, per match, it allows player to essentially “bet” their hard earned CoD points on the outcome. These are different from the traditional game modes seen in shooters today. Going into detail about them would require a separate review so instead I shall let the folks at gamesradar fill you in if you want more information. The one thing I did miss was lack of co-op missions. Seeing as how popular these were in MW2, their absence here is disappointing. 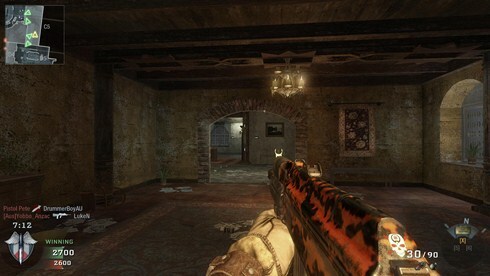 As a consolation, the old “Zombie mode” from Treyarch’s last release has made it back. It doesn’t hold a candle to zombie killers like L4D but any chance to kill hordes of the undead as JFK and Fidel Castro is clearly something to be tried. All in all, Black Ops is a fantastic game. The single player is nothing new, but still entertaining enough and the multiplayer is everything I had hoped for. UPDATE: At the time of publishing this, the game has been patched twice. The forums are still full of people complaining about how “broken” the game is but I haven’t run across anything game breaking throughout my 20+ hours with the game. I did lose some experience on three occasions when the database saving my progress did not update properly. The last patch seems to have fixed this. The only trouble I now have is that of lag. Seeing as how there are no servers anywhere near India, this is pretty much expected. To put things in perspective, Bad Company 2 has been out for 9 months, the pings I get with it are in the same range (185 – 250). Indeed, at first, I was skeptical about Treyarch’s involvement in yet another COD title, add to that the conflicts between Activision & Infinity Ward left my hopes to sink…though only to be revived back up after playing COD:BO. 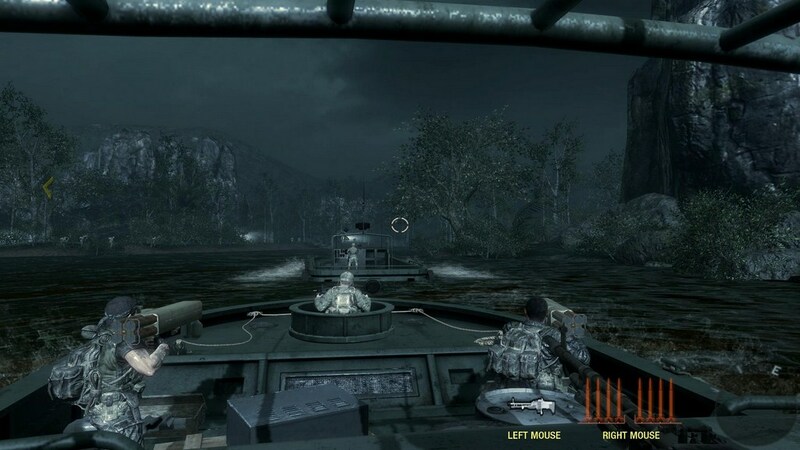 The Graphics were over the top, playing it at 1920 res was amazing, the missions varied and considered to be the near-perfect campaign. A strong character lead and NPCs promises that COD is in safe hands. Though I will definilty miss the IW touch in upcoming games. Great review…shadeheart…it deserves all the splendour. Thanks Sohan. My concerns were the same as yours. I had always wondered what Treyarch could do if given the opportunity to leave the old WW2 setting. BO is a hell of an achievement. Sadly, with Activision still calling the shots, we will still end up seeing 15$ map packs before long. As I understand it, custom built maps are not a possibility at this point. Still, the multiplayer as it stands is reason enough to celebrate.